The weather is a changin'. But those pesky ticks are still out there. While the wood tick population looking for winter hosts is declining, the deer ticks are starting to look for their winter hosts. They are hardy critters and continue to look late into the fall. Deer ticks switch hosts at each stage of their life cycle. This means that they look for new hosts in the spring and again in the late summer and fall. We all know that the deer tick (ixodes scapularis) is the tick that transmits Lyme disease from the mice or other rodents that are usually the first host to later hosts, including people. They can also transmit Ehrlichiosis, Anaplasmosis and other diseases. Please protect your dogs from this disease. Continue to use tick prevention with activity through at least the month of November. Depending on the fall we may need to go longer. Just because there has been a freeze the danger has not passed. Also, remember that this is a prime season for flea transmission. This continues until several good hard freezes. It is that time of year when mice and other vermin are trying to move into our houses so they have a nice warm winter home. They also try to find houses in boats, campers, out buildings and even in car air filters. We people generally do not like to share our houses and such with these little rodents. Steps must be taken! 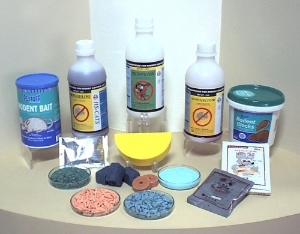 Many people use traps, but many also use poisons to deter these pests. The poisons are put in holes in the wall, set around the house inside and out, on the floors of campers and boats and any place deemed appropriate. They tend to work great. Actually too well. Dogs seem to have a nose for food and think the poisons are food. Cats seem to seldom eat the poison directly but can eat the poisoned rodents that cannot run away fast enough. Rodents will drag the bait out into the open where pets and other animals can find it. Recently the EPA has mandated a change in the poisons used from anticoagulant products to a product (bromethalin) that causes brain swelling. This is in an effort to protect non-target wild animals by using a supposedly less toxic poison. The down-side is that there is no antidote for the bromethalin as we have for the anticoagulants. This means that treatment can only be supportive and symptomatic. The moral of the story is to be extremely careful about your use of rodenticide products and to talk to your neighbors (and hosts when on visits) about their use of these products. Always keep the box label so the type of poison is available if a problem occurs. Make sure that these poisons are not and cannot become available to your pets (or children). Every year Nilssen's Supermarket in Baldwin hosts a Safety Fair. Bobtown Pet Clinic has participated in this event for several years now. We focus on dog bite prevention. This year's event is on Saturday, September 13, from 10am to 2pm. Other participants include law enforcement, ambulance crews, fire departments and medical providers. Children can explore the fire trucks and other rescue vehicles. They usually dismantle a car in a mock rescue of an injured person, have a bus to talk about bus safety, and finger printing of children in case of emergency. This is a great event. Please come visit us and join in the fun. We had a great time at the Community Celebration!